Of all the surprises that India reserves for tourists, that of the sacred cow is undoubtedly the best known and the most amusing. What is more curious for a westerner than to see these cows stroll freely in the streets, insensitive to the traffic jams they sometimes cause. It is legitimate to ask why in a poor country, where some areas are still suffering famine, the cow is not exploited for its meat, as it is for the wealthy industrialized countries. 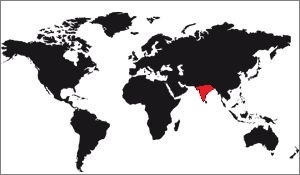 Why did the cult of the cow, common to all the civilizations of antiquity, notably Mediterranean (Apis among the Egyptians, the Minotaur and Io among the Greeks), persisted in India? For Hindus, it symbolizes life, it is the one that Krishna protects. In the countryside the cow is considered a member of the family and the birth of a calf is celebrated like that of a child. It is this question that Marvin Harris, an American anthropologist, posed in the 1970s. He sought to show through various examples that religious beliefs and traditions often served a practical purpose. He thought that it was the material conditions of everyday life that had a great impact on ideology and not the other way around. He studied this curious tradition of the sacred cow in India. 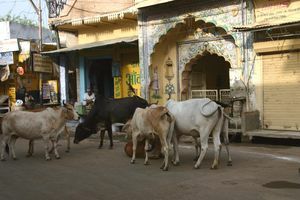 Harris remarked that the oxen were essential to Indian agriculture, that they were the principal means of transport and transport in the country. He then found that the number of oxen in India was much less than that required to satisfy the demand. Beef is therefore a precious commodity. For an Indian peasant, a sick ox is a catastrophe. He will have to either redeem one, or lease another, so borrow money and go into debt. Many Indian peasants were forced to leave their countryside because they were ruined or unable to buy another beef. Moreover, an ox is not manufactured on demand as a tractor, it takes a cow to give it birth. The owner of a cow therefore has the means to "manufacture" and sell oxen. Indian cows are very resistant and are content with little food. They eat little vegetables reserved for man, they eat mostly waste unsuitable for human consumption. There is therefore no competition between cows and men. In the West, three-quarters of the arable land is used for the production of cattle feed alone. If India applied the same policy, the share of arable land reserved for human food would be reduced so that the country could no longer feed itself as it does now. India is still a developing country with regard to agriculture. It does not have the means to develop a mechanized agriculture that would otherwise be incompatible with family-type agriculture that sustains many people. The use of chemical fertilizers is therefore very uncommon. Farmers therefore use natural fertilizers, including cow dung supplied free of charge and easily used. In addition, when dried, dung is used as fuel for the family home. Of the 700 million tonnes of manure produced annually, half is used as fertilizer, the other half as fuel. 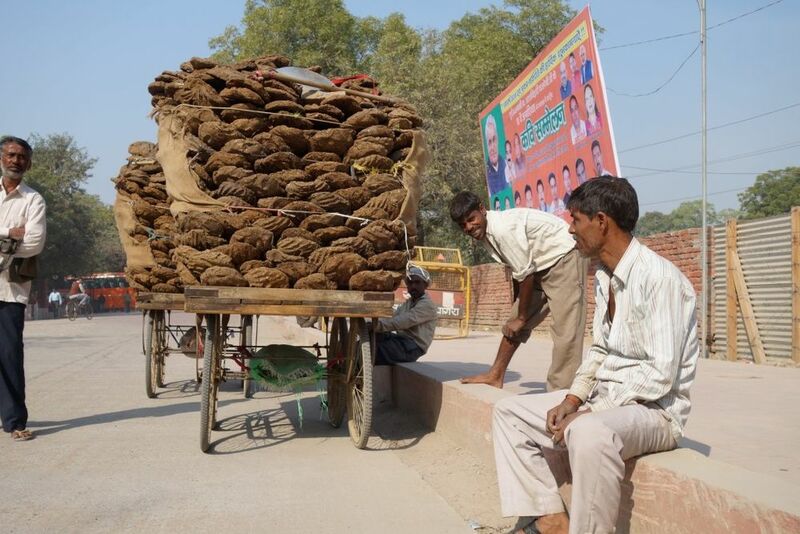 Diluted in a large quantity of water, the dung is also spread on the soil. By drying, this paste forms a coating that protects against dust and heat. The collection of the dung is entrusted to the lower castes and supports many people. Cows, even dead, are still used because some castes use their skin to make leather objects. When they die of natural causes, the cows are eaten by certain members of the lower castes. The tradition of the cult of the cow ensures that the meat will arrive on the plate of the poorest and most hungry. This worship also protects the peasants from the temptation to kill or sell their livestock during times of scarcity, for this sacrifice would certainly allow them to get out of a bad pass but they would not be able to cultivate the land afterwards. From the Harris studies, some economists have advocated reducing the number of cows in order to improve the productivity of milk and dung of the best elements. The number would decrease but not reduce production. But to keep the best elements of the cattle, one must sacrifice the other or the worst cows belong to the poorest. They would then be obliged to go to the already overcrowded cities to look for work. Harris has thus demonstrated that the love of the cow is not only spiritual, but that it is part of a logical material approach. India uses its cattle far more efficiently than the industrialized countries, which waste a considerable amount of energy. The caloric value of what a western cow consumes is much higher than the caloric value of its meat. India may one day consume cow meat but at present, without any religious consideration, this consumption would have no beneficial effect on the Indian economy. The cult of the cow therefore reflects its real importance as a resource.